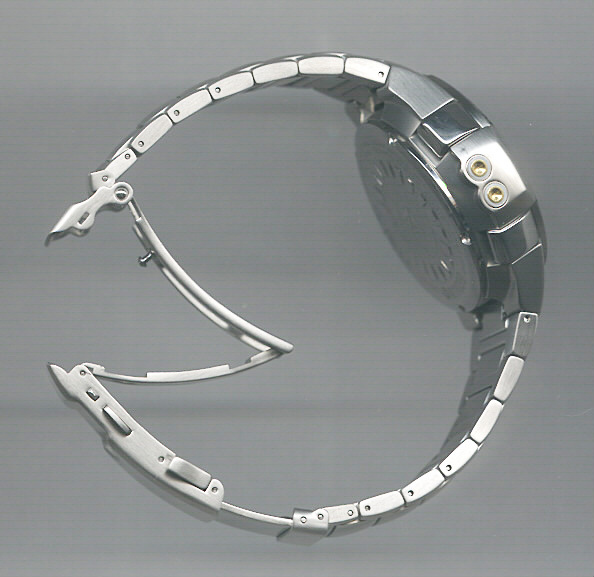 It has stainless steel loops that hold the strap and they are VERY tight, to the point that they are difficult to use. This is not a problem for me, I would rather have a difficult time strapping on my watch, then having to worry about the strap always coming loose and knocking over my coffee. Don’t laugh, this actually happened! 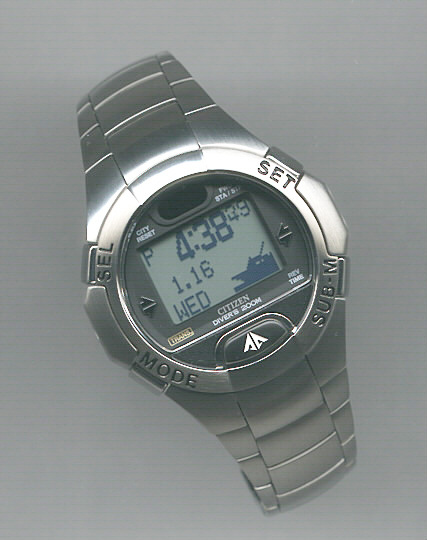 Shortly after owning the Cyber Aqualand, I contacted Citizen CANADA in Toronto, ON (Markham actually) and a gentlemen by the name of Brandon Walker helped me with the purchase of the stainless steel bracelet. He had to order it directly from Japan. It took nearly 2 months and let me tell you it was worth the wait! It cost $73.80 Canadian shipped directly to my door. Much less expensive then I expected, kind of makes you wonder how other manufacturers can charge BIG $$$ for the difference between the strap and bracelet model. The short lugs really make this bracelet look integrated. As a matter of fact, it’s hard to believe anything else could possibly be in its place. The finish is first rate, though the edges are a little sharp. The links are all solid steel and so are the end pieces. It is adjustable via strait pins that are held by tiny bushings, the same as the SkyHawk. You ABSOLUTELY must know what you are doing to adjust this one. My advice is to take it to a jeweler and have it sized professionally. While this is a stiff bracelet, it still feels supple enough to conform to any wrist. The push buttons not only releases the actual folding part on the clasp, but also release the flip lock! Therefore in one swift pinch the watch comes off effortlessly. 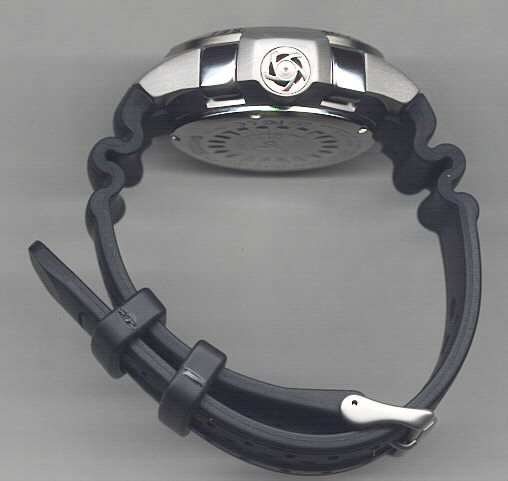 At the rear of the clasp there are 2 slide buttons that release the diver’s extension. 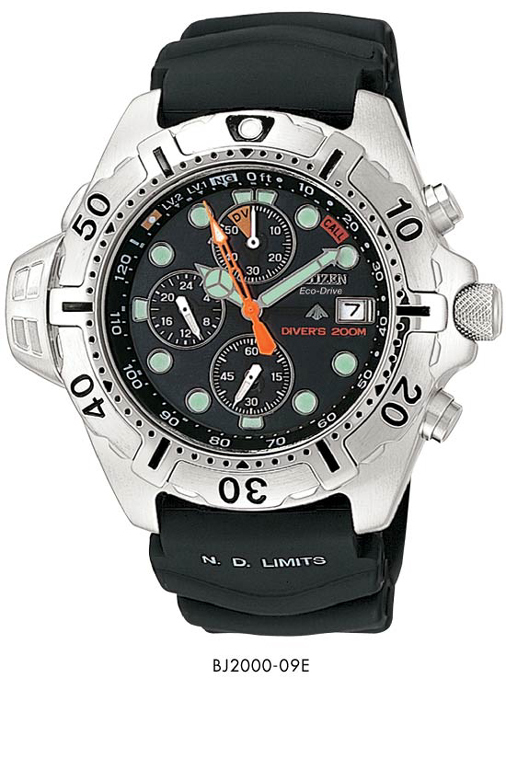 BY FAR, the easiest and most ingenious diver’s extension on ANY watch I’ve ever reviewed. 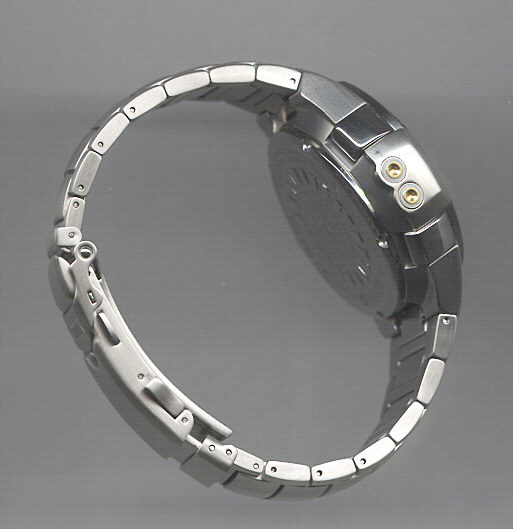 It allows the wearer to adjust the size of the bracelet without having to take it off. European companies should be taking notes, this bracelet is very impressive and more importantly, INEXPENSIVE!